What's the problem with Big-Pharma getting involved with stem cell therapy? Would you pay $500,000 for a one-time stem cell treatment? You would if it was your little girl that had cancer, and Big-Pharma knows it. Yes, if your child were to get leukemia there is a stem cell treatment named Kymriah by Novartis Pharmaceuticals that will charge you $500,000 dollars for a one time treatment. Yes, a half million dollars! it appears to be about 85% effective but that's a little steep for anyone’s budget. Within the next year those costs are expected to come down to about $300,000 for a single dose. What a bargain! My concern with Stem Cell Therapy and Big-Pharma? The FDA will likely continue to provide pathways for approval primarily favoring pharmaceutical companies with deep pockets and FDA privileges that exceed smaller companies such as ours. In this way the FDA will continue to call YOUR stem cells a drug and therefore require pathways exactly the same as drug manufacturing - costing companies between 1.5 - 2.0 billion dollars to get approval (the average costs from inception to drug approval in the U.S. is $2,000,000,000.00 - not a misprint! ), and when that’s the requirement you get stem cell therapies that cost a half-million dollars. The FDA needs only to provide strict guidelines to be followed by physicians, such as sterile technique and proof of good manufacturing practices (GMP). Then let the market determine stem cell price points. Otherwise, leaving the country will continue to be a normal thing for medical treatments. Below details the result of a study looking at repeated steroid shots for knee pain - The conclusion? It will wear out your knee faster than if you just left it alone. Repeated steroid injections only furthers the likelihood that you’ll need a much more invasive procedure later. Zeng C1, Lane NE2, Hunter DJ3, Wei J4, Choi HK5, McAlindon TE6, Li H7, Lu N8, Lei G9, Zhang Y10. A recent randomized clinical trial reported that repeated intra-articular corticosteroids (IACs) were associated with a greater cartilage loss. This study aimed to examine the relation of IACs to knee radiographic osteoarthritis (ROA) progression in a real-world setting. A cohort that initiated IACs and a comparison cohort without IACs from participants with mild to moderate knee ROA in the Osteoarthritis Initiative (OAI) were assembled (from 0-month to 48-month). Two measures of knee ROA progression were assessed during the follow-up period: (1) an increase in Kellgren and Lawrence (KL) grade by ≥1 grade or having a knee replacement (i.e., KL grade worsening); and (2) a decrease in joint space width (JSW) by ≥0.7 mm or having a knee replacement (i.e., JSW worsening). The associations of IACs initiation using a propensity-score matched cohort study and continuous IACs using marginal structural models with the risk of knee ROA progression were examined. Among 684 propensity-score matched participants at baseline (148 IACs initiators, 536 comparators), 65 knees (21.7/100 person-years) in the IACs initiation cohort and 90 knees (7.1/100 person-years) in the comparison cohort experienced KL worsening. The hazard ratios (HRs) of KL worsening from IACs initiation and continuous IACs were 3.02 (95% confidence interval [CI], 2.19-4.16) and 4.67 (95% CI, 2.92-7.47), respectively. The corresponding HRs of JSW worsening were 2.93 (95% CI, 2.13-4.02) and 3.26 (95% CI, 1.78-5.96), respectively. All HRs for continuous use of IACs were further away from the null. IACs, especially continuous IACs, may be associated with an increased risk of knee ROA progression. Copyright © 2019 Osteoarthritis Research Society International. Published by Elsevier Ltd. All rights reserved. Multiple Sclerosis is a devastating auto-immune disease that can disable and cripple millions of Americans every year. In 75% of the cases, it is the remitting and relapsing type. In this form of MS, it is extremely frustrating for the patients as they never know what function of their body it is going to effect next, anything from loss of vision to loss of the ability to walk and it’s completely random. Recently more and more research is pointing to the stem cell therapy as being the closest thing to a cure. In this video link above you’ll see an account of two women who responded well and off all MS medications. At our office we are also conducting case studies to learn the effects of stem cell therapy on a number of different auto-immune conditions such as MS. Call today and lets discuss your specific condition and see if you might be a good candidate for our program. Stem cell therapy is one of the most promising frontiers in lupus research today. A proof of concept (POC) study from Spain captured results using mesenchymal stem cells (MSCs) to treat lupus nephritis. MSCs are unique adult stem cells with immunosuppressive properties that also may play a key role in preventing autoimmunity. The MSCs in this study were transplanted into a small subset of people (3) with lupus nephritis and each responded favorably to this early treatment. Although very small, the study outcomes provide ongoing support for MSC research in lupus. A POC study can be used to gather preliminary data about the drugs mechanism of action and help support further research in humans. The three patients in this study all received MSCs and were followed for 9 months after infusion. All three patients responded to therapy, with two patients considered to be complete responders (meaning they met all the endpoints in the protocol). This study was significant because it showed that MSC treatment for lupus nephritis was effective for patients from varying ethnic backgrounds. A larger phase 2 study to test the safety and efficacy for MSCs in lupus nephritis is currently enrolling in Spain. The Lupus Foundation of America has a long history of funding (adult) stem cell research. The Foundation was one of the first private funders of research into MSCs as a potential treatment for people with lupus. Currently, in partnership with the National Institute of Allergy and Infectious Diseases, the Foundation has co-funded a major study of MSCs as a new treatment for moderate to severe lupus. This innovative study is led by Gary Gilkeson, M.D., and Diane Kamen, M.D., of the Medical University of South Carolina (MUSC) and marks a bold step forward in lupus research, which has only had one drug that was specifically developed for lupus and approved by the U.S. Food and Drug Administration (FDA). The phase II trial is underway with seven academic centers participating in the research. Continue to follow LFA for updates on MSCs. Learn more about the Foundation's stem cell research. 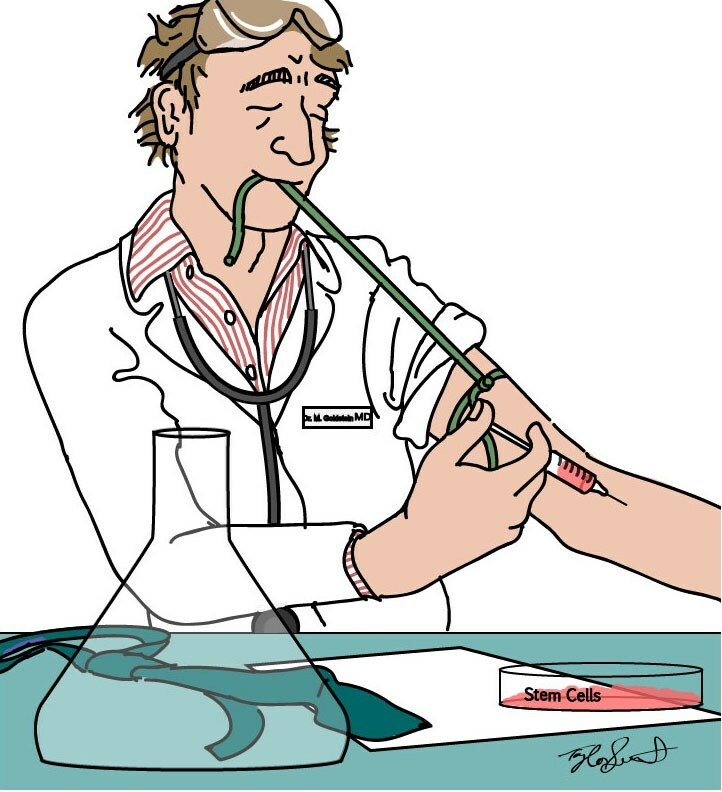 An illustration of stem cell drug delivery by Taylor Seamount Stem Cells: An Insider’s Guide by Paul Knoepfler. Historically, the main route of proposed healing via stem cells was cell replacement. In this way of thinking the transplanted cells engrafted (took up home) in the patient’s tissue and replaced dead or diseased cells. However, interest continues to grow in other possible modes of healing by stem cells that don’t rely on cell replacement. In today’s post I cover 4 other possible mechanisms. An alternative, not mutually exclusive model to cell replacement is that stem cell transplants have beneficial effects via the factors they directly secrete. These growth factors, cytokines, and other molecules (collectively sometimes called “the secretome”) could have a positive impact by a number of mechanisms. After stem cell transplantation, these factors might tell endogenous stem or precursor cells to start growing. They could tell some cells not to die, while encouraging others that are beyond hope and might actually be mediating toxic effects to go ahead and croak. (Incidentally, you might have seen the research (mentioned here) supporting the notion that senescent cells hanging around the body are actually actively harmful and removing them could fight aging. There’s even a germinal field of “senolytics”.) 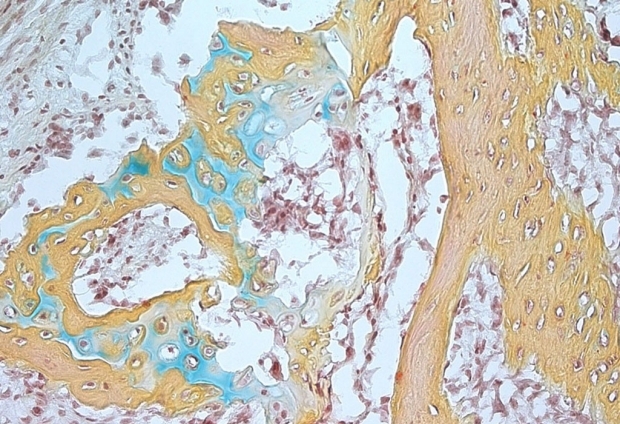 Secreted molecules might also stimulate angiogenesis, aiding in tissue healing. It’s a fact of life that secreted factors produced by transplanted stem cells would also pose risks such as sparking cancer or enhancing the growth of an already existing, undetected tumor. Another popular, related idea is that infused stem cell specifically have immunosuppressive functions. In this way of thinking, although injected stem cells don’t stay around a long time, while present they tell the immune system to “cool it”. It’s an interesting concept, but not concretely proven. Let’s say for the moment that it sometimes happens. In that context, we have to be very aware of risks associated with this hypothetical stem cell-mediated immunosuppression. For instance, patients may get sick from an infection or developing a tumor as a consequence of reduced immune activity. The immunosuppressive route of function has been discussed the most for mesenchymal stem cells or whatever you prefer the MSC acronym to stand for these days. An additional idea invokes a different kind of “secretion” by cells. In addition to making molecules that are dumped out directly into the interstitial space, the blood, or onto neighboring cells, stem cells (and really all cells) make what are called exosomes. These are little, budded-off membrane-bound packages full of many different molecules. Exosomes can then deliver their soup of factors to other cells. There is a lot of legitimate excitement about exosomes and their possible clinical potential. Unfortunately, there is abundant hype too. Also, some unproven “exosome therapy” is already being sold to patients. Of course, if exosomes can have potential benefits, their function as little packages of potent molecules will also pose some risks, which at this point are not well understood. This last notion is related to the first three ideas above, but involves more time in the lab. Stem cells can be engineered in the lab to produce (or be loaded with) drugs that they then can secrete or in theory deliver with exosomes or even by cell fusion. In this way designer stem cells, once transplanted, can potentially deliver medicines to a diseased tissue. This delivery could even be on a cell-to-cell basis (I could say one cell acts as doctor and the other as patient, but I won’t), rather than systemically as most pharmaceutical drugs are given. For example, imagine stem cells loaded with chemotherapy delivering it directly to a brain tumor like a glioma. Risks here include that the stem cells give too much drug, that the drug is delivered to the wrong cells, that the drug given by stem cells is uniquely toxic, or that the designer stem cells themselves engraft and grow into an undesired tissue or have some other negative effects. That last possibility is perhaps avoidable via a built in cellular suicide switch. You can see an illustration of envisioned stem cell-based drug delivery to a diseased region of brain in an illustration by Taylor Seamount for my book, Stem Cells: An Insider’s Guide, above. Overall, what other possible, helpful non-cell replacement-based roles for transplanted stem cells come to mind? Credit to Paul Knoepfler for this article. Targeting senescent cells for apoptosis extends life... fountain of youth? ROCHESTER, Minn. — The presence of senescent or dysfunctional cells can make young mice age faster. And using senolytic drugs in elderly mice to remove these rogue cells can improve health and extend life. These findings from Mayo Clinic researchers and collaborators provide a foundation on which to move forward in this area of aging research. The results appear in Nature Medicine. “We can say with certainty that senescent cells can cause health problems in young mice, including causing physical dysfunction and lowering survival rates, and that the use of senolytics can significantly improve both health span and life span in much older naturally aged animals,” says James Kirkland, M.D., Ph.D., a Mayo Clinic geriatrics researcher who heads Mayo Clinic’s Kogod Center on Aging. Dr. Kirkland is senior author of the study. The first senolytic drugs —compounds that remove senescent cells from the body — were discovered at Mayo Clinic. The senolytics used in this study are a cocktail of dasatinib, which promotes cancer cell death, and quercetin, an antioxidant found in apples and other foods. In effect, senolytics act by allowing senescent cells to “self-destruct” rather than damage healthy cells nearby and throughout the rest of the body. The researchers transplanted senescent cells into young mice and a group of middle-aged mice that had aged naturally. Transplanting even small numbers of senescent cells was sufficient to cause the mice to become frail and reduce their survival. Fewer senescent cells were needed to cause these effects in older mice than younger mice or in high fat-fed than in lean mice. This means that obesity worsens the effects of aging. Problems were prevented or reversed in the mice transplanted with senescent cells by treating these mice with senolytics. In naturally aged mice, roughly equivalent to 80 human years, administering the senolytic cocktail orally improved physical function. The mice were better able to run on a treadmill and maintain a stronger grip strength, and they had increased daily activity. Remaining life span was extended by 36 percent, compared to the norm for this strain of mice. And the increase in life span did not come at the cost of a prolonged period of frailty near the end of life. Death from age-related diseases as a group was delayed and was generally due to old age rather than any single age-related disease, such as cancer. Furthermore, the senolytics killed human senescent cells within 48 hours in fat samples taken directly from the operating room. The researchers caution these senolytic agents should not be taken by people, unless their safety and effectiveness is demonstrated in clinical trials. They say if these agents turn out to be effective and safe in such clinical trials, senolytics could help alleviate physical dysfunction and frailty in older people, while increasing independence in later life. Collaborators on the study are from Newcastle University, Newcastle upon Tyne, U.K.; Indiana University Bloomington, Bloomington, Indiana; The University of Alabama at Birmingham, Birmingham, Alabama; The University of Texas Health Science Center at San Antonio, San Antonio, Texas; South Texas Veterans Health Care System, San Antonio; The Scripps Research Institute, Jupiter, Florida; and the University of Connecticut Center on Aging, UConn Health, Farmington, Connecticut. The research was supported by multiple grants from the National Institutes of Health, as well as the Connor Group, Robert J. and Theresa W. Ryan, the Glenn/American Federation for Aging Research, the Ted Nash Long Life and Noaber Foundations, and Robert and Arlene Kogod. Some of the researchers have a financial interest in the outcomes of this research, and Mayo Clinic has patents on senolytic drugs. Details and full author list appear on the paper. Options: When you can provide it all, patients win. Options are the key, when you can provide it all, patients win. Hip replacement surgery is no longer an inevitable outcome of chronic hip pain, even when arthritis has set in and told hip replacement is recommended. I can clearly recall Mrs. Johansen, a 66 year old grandmother who simply wanted to travel to see her grandchildren in other states, but was not able to do so because of her ailing hip. I can recall having that same conversation as mentioned earlier, asking her to think it over all week with family input and consulting with her orthopedist. What I learned. Very good, loving, compassionate, well meaning family members and friends talked her out of an expensive, non-FDA approved stem cell procedure for her hip, and to put her trust in the joint replacement. Because that was at least a “for-sure” thing. I didn’t hear back from the family of Mrs. Johansen until about 6 months later. Her daughter with great concerned called and wanted eagerly to speak with me as soon as possible. I remembered the family and called at my first break. I was sad to hear of the events that occurred following her hip replacement. It was explained to me that her procedure seemed to go just fine, her recovery was quick and was sent home the next day. Unfortunately, the following days didn’t go so smoothly. she soon had increasing pain and swelling round the hip, she then developed a fever and felt sick to her stomach, soon she was dizzy and feeling faint. She called her daughter and within an hour she was being sent by ambulance to the ER - as you may have guessed, she developed an infection at the surgical site and the infection had gone septic. She was immediately started on IV antibiotics until stable and then had to have the hip replacement operated on again to clean out the infection that had spread all throughout the hip. It was determined that the replacement was going to have to come out as they could not completely remove the infected areas of the hip. They removed the hardware, but because of the fragility of the bone after the removal, it was decided to close her up without any hip at all. She was released from the hospital on bed rest (obviously, she has no hip). So, there she lies in a bed for weeks trying to recover from the infection so they can proceed with another surgery to replace the hip. After 4 weeks of antibiotic therapy, she appeared to be clear of her infection and they proceeded to surgically implant a new hip for the second time. Her daughter tells me that the second hip at least didn’t get infected and she’s on round-the-clock antibiotic therapy likely for the remainder of her life. In addition the hip didn’t take very well, in her weakened condition the bone and metal didn’t seem to be “getting along” and she’s unable to bear much weight on the hip because it seems to slip around, feels unstable and yes it hurts. That’s when I finally decided I need to be more confident in my recommendations. I have since learned that 3-4 out of every 100 hip surgeries will get infected with similar results, AND 1 out of every 400 of these surgeries results in death of the patient within the first 90 days following the procedure. Here’s the big point: At least if the stem cell treatment doesn’t give the relief necessary, you can always have a hip replacement. But, if you have a hip replacement, there’s no going back, there’s no stem cell treatment that can fix a botched hip surgery. With a consistent success rate of 81% of hip patients, I am much more confident in my approach today as I should be. We get great results and best of all, no surgery! The purpose of this study was to compare the clinical and radiological efficacy of autologous adipose-derived stromal vascular fraction (SVF) versus hyaluronic acid in patients with bilateral knee osteoarthritis. Sixteen patients with bilateral symptomatic knee osteoarthritis (K-L grade II to III; initial pain evaluated at four or greater on a ten-point VAS score) were enrolled in this study, which were randomized into two groups. Each patient received 4-ml autologous adipose-derived SVF treatment (group test, n = 16) in one side of knee joints and a single dose of 4-ml hyaluronic acid treatment (group control, n = 16) in the other side. The clinical evaluations were performed pre-operatively and post-operatively at one month, three months, six months, and 12-months follow-up visit, using the ten-point visual analog scale (VAS), the Western Ontario and McMaster Universities Osteoarthritis Index (WOMAC), and the knee range of motion (ROM). The whole-organ assessment of the knees was performed with whole-organ magnetic resonance imaging score (WORMS) based on MRI at baseline, six months and 12-months follow-up. The articular repair tissue was assessed quantitatively and qualitatively by magnetic resonance observation of cartilage repair tissue (MOCART) score based on follow-up MRI at six months and 12 months. No significant baseline differences were found between two groups. Safety was confirmed with no severe adverse events observed during 12-months follow-up. The SVF-treated knees showed significantly improvement in the mean VAS, WOMAC scores, and ROM at 12-months follow-up visit compared with the baseline. In contrast, the mean VAS, WOMAC scores, and ROM of the control group became even worse but not significant from baseline to the last follow-up visit. WORMS and MOCART measurements revealed a significant improvement of articular cartilage repair in SVF-treated knees compared with hyaluronic acid-treated knees. The results of this study suggest that autologous adipose-derived SVF treatment is safe and can effectively relief pain, improve function, and repair cartilage defects in patients with knee osteoarthritis. Professional athletes are heavily invested in their bodies, after all it's that body and their determination that got them where they are. But once they enter the big leagues, it's a team of professionals that will try and protect that franchise player. It's becoming obvious that surgery is a one way trip to the bench on "injured reserve" and the remainder of their career in question. Where there is a problem, a solution is bound to appear. Enter stem cell therapy - more and more athletes are trusting their own bodies to heal and mend their injuries, taking great steps to explore these modern cell therapies. Extracting and isolating the bodies own healing cells called stem cells is increasingly being utilized as an alternative to surgery and for good reason. It's working! 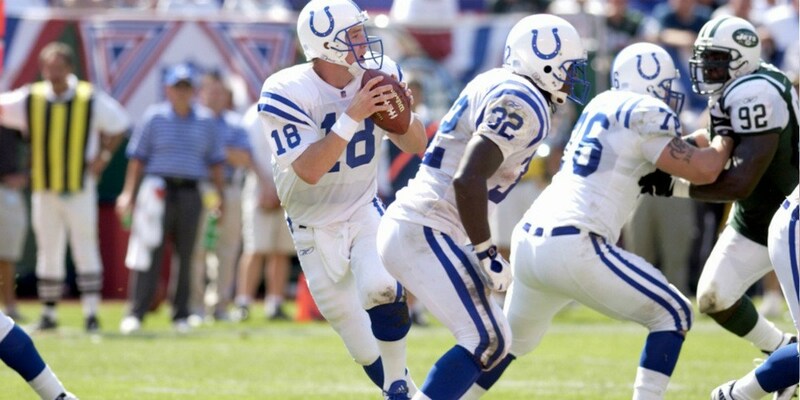 Check out the list here (Courtesy Cade Hildreth of BioInformant) of the latest list of professtional athletes choosing stem cell treatments over surgery to heal their injuries. Once again, it has been shown in this article from Penn State U cancer cells are very manipulative. Their cellular communication is quietly telling your T cells to take a nap. Unfortunately this is allowing the cancer cells to flourish. There have been a couple drugs introduced (immunotherapy) in order to activate the T cells, however once again we're talking about 100's of thousands of dollars with mixed results. If you review the cellular profile of exosomes from mesenchymal stem cells isolated from umbilical cord blood, it would be plausible that the intravenous deployment of these exosomes may help activate the T cells, with the addition of stem cell deployment. Theoretically this could be a wonderful alternative to traditional cancer treatments at a fraction of the costs. Remember, this is a theoretical construct. Don't try this at home, consult with your physician before jumping into such a treatment regimen. I am often asked if we can treat their 4 legged family members, and I'm always glad to hear they have an interest in preserving the quality of life of their pets. However, this does need to be performed by a veterinarian who has the experience working with animals. Vet-Stem is a national network of veterinarians who are qualified to perform stem cell therapy for your animals. A recent article was just published in WebMD endorsing cell therapy for animals and I felt it was a positive article. With the success rate at 88% for joint problems, that's even a bit better than we are getting clinically in our office. It appears animals respond even slightly better than us humans. Feel free to leave comments on your experience with stem cell therapy on your family pets. Who would have thought editing a piece of DNA that God created or billions of years created might cause some problems, Huh? It turns out it's not as easy as it was made out to be. Now scientists admit it's difficult to simply cut out the exact area of mutated DNA, and in fact often thousands of DNA base pairs are often edited out by mistake rendering the cell lifeless. Sorry, but this gene editing stuff is a long ways off before real DNA editing for the public ever sees the light of day, if at all. This is an area that requires decades of research in order to perfect and prove safe. We already have a product on the market by Novartis for cancer therapy when they manipulated an immune cell (CAR-T cell therapy) to target cancer cells. Although it's not gene editing, it is manipulating the cell with a virus. Not only is it potentially wrought with side effects, it's not that financially successful and with a price tag of $475,000 per treatment? More advancements in the field of cardiology as it relates to regeneration are not only on the horizon, but seeing success in clinical practice today. Recently, scientists have had great success with introducing induced stem cells in the treatment of heart failure in monkeys. I knew this would be successful, we have seen it happen dozens of times in our offices. Patients come in with an orthopedic condition that we accept for treatment, and at the consultation we learn they also have a heart condition, ie congestive heart disease or heart failure. This in itself is not a contraindication, but a side note. However, it is common for these patients to improve in heart function, verified by their cardiologist when repeat ejection fraction is looked at in a routine check up, most likely from the IV portion of the treatment. We had a patient, Don, a retired executive who discontinued most all activity do to his heart condition. He explained that his LVEF (left ventricular ejection fraction) had been hovering around 45% for the last 6 months, down from 55% the year prior. We treated his knee condition with SVF and an IV. It wasn't a month later when we checked up on him that he explained that his LVEF had gone up to 60% and his cardiologist was in disbelief. He had actually repaired his heart. This is not an uncommon story by the way. This is common place for physicians practicing regenerative medicine. Although not approved for heart failure by the FDA, it is non-the-less working. Some feel it is do to the differentiation of the stem cells into cardiac cells, others are not so sure. I feel after reading several case studies, research studies along with animal models, the main reason for the improvement is the secretory extracellular vesicles that are relaying the messages of repair. This is the most likely cause of improvement, as the stem cells when administered IV are not going to reach the cardiac cells in a great enough abundance to really have a dramatic presence. However, the extracellular vesicles (EV's - the regenerative signaling of the stem cell) will be secreted by these infused stem cells in the billions.